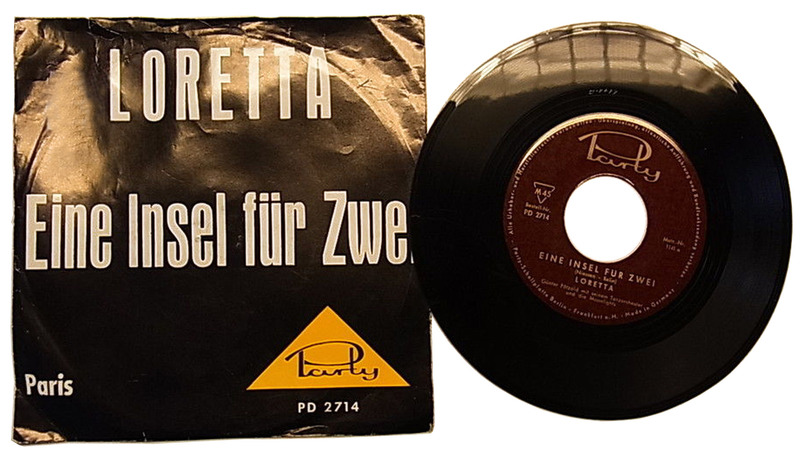 Simply called Privatpressung, this my be one of the most private of German private pressing. It was indeed so secret, that the producers didn´t even include any information regarding the artists, authors, song titles, nor where and when they were recorded. 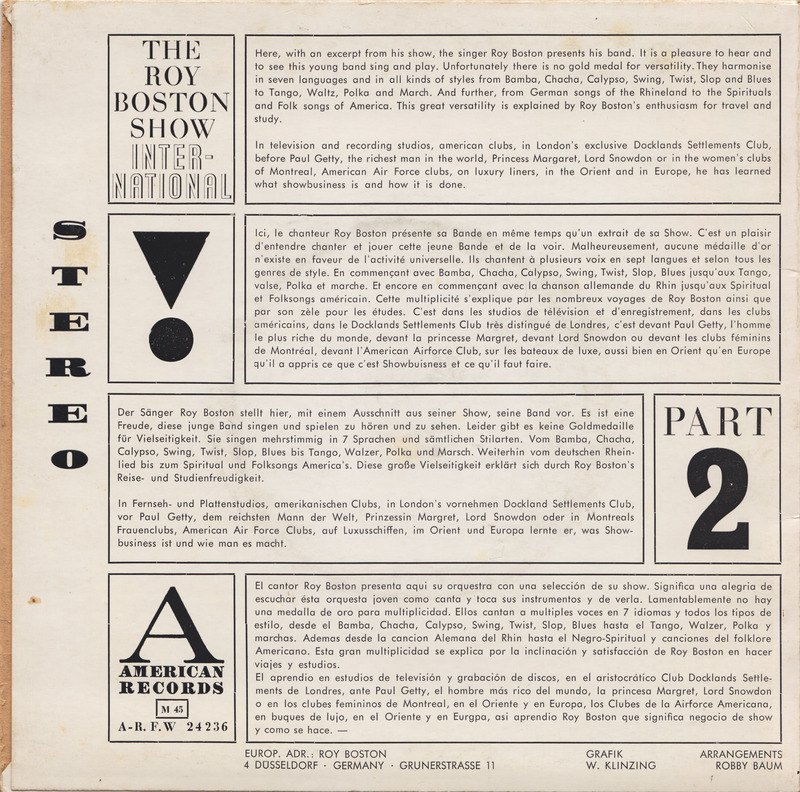 The back of the sleeve is blank, same as the label. By buying this record I declare that I´m of legal age, that I will only use this record privately and will not make it accessible to anyone below the age of 21. I declare furthermore that I will not be offended by the record that I bought. People probably bought this record in an adult store or by mailorder, so they knew what they were getting. Honestly, forty years after these songs were recorded, they still make me blush. If you do not know German, they may just sound like a bunch of folk songs sung by a male-female duo, but believe me, they´re very filthy. 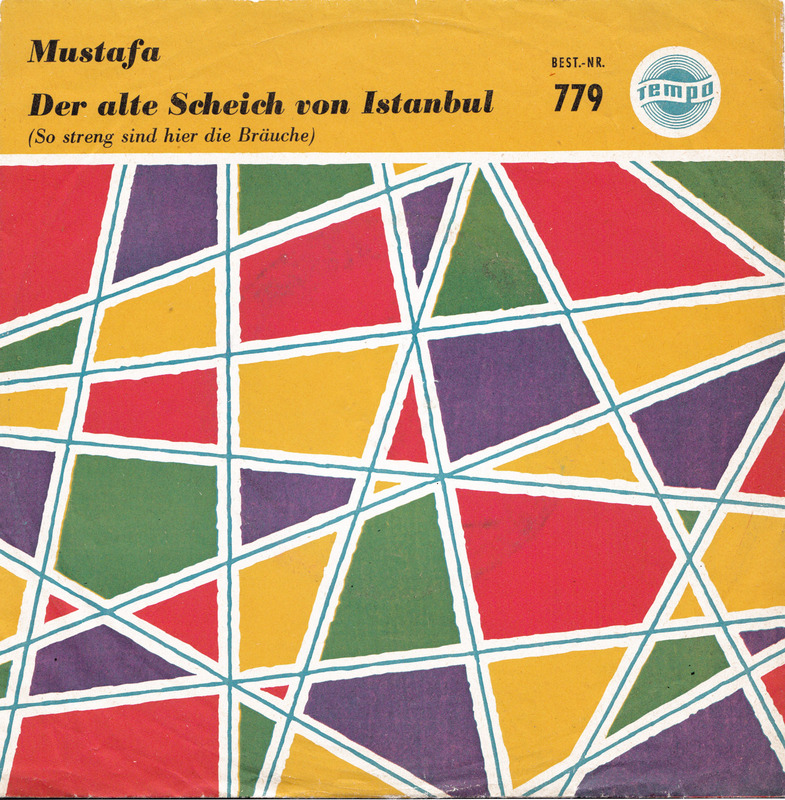 The old sheik of Istanbul, was written by German songwriting team Georg Buschor and Christian Bruhn. 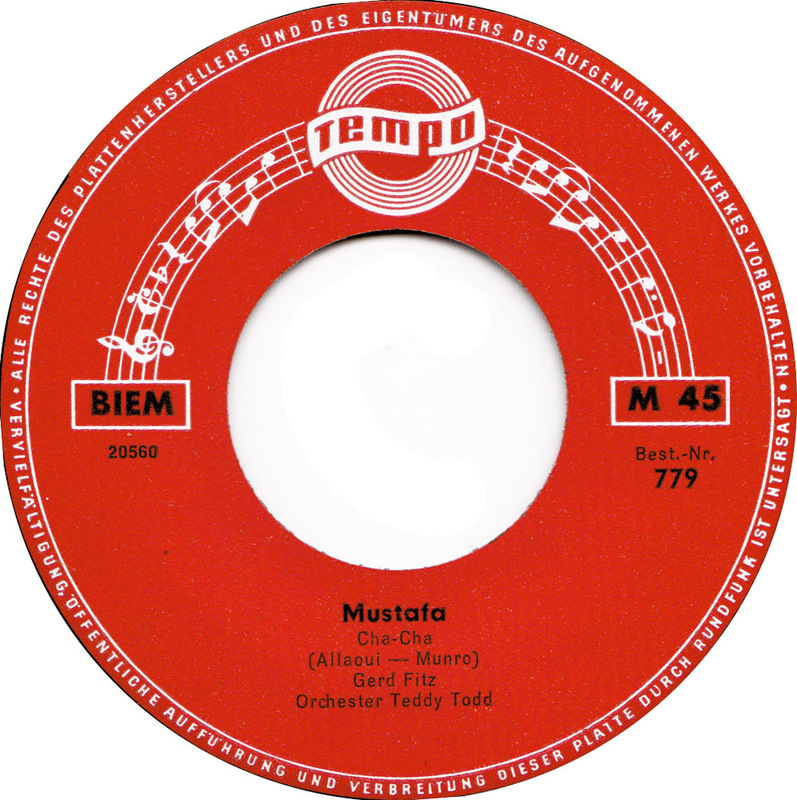 Probably just a quickly assembled flip for the A-side – a cover of Bob Azzam´s hit record Ya Mustafa – the record was released in 1960, the year of the first Turkish coup. 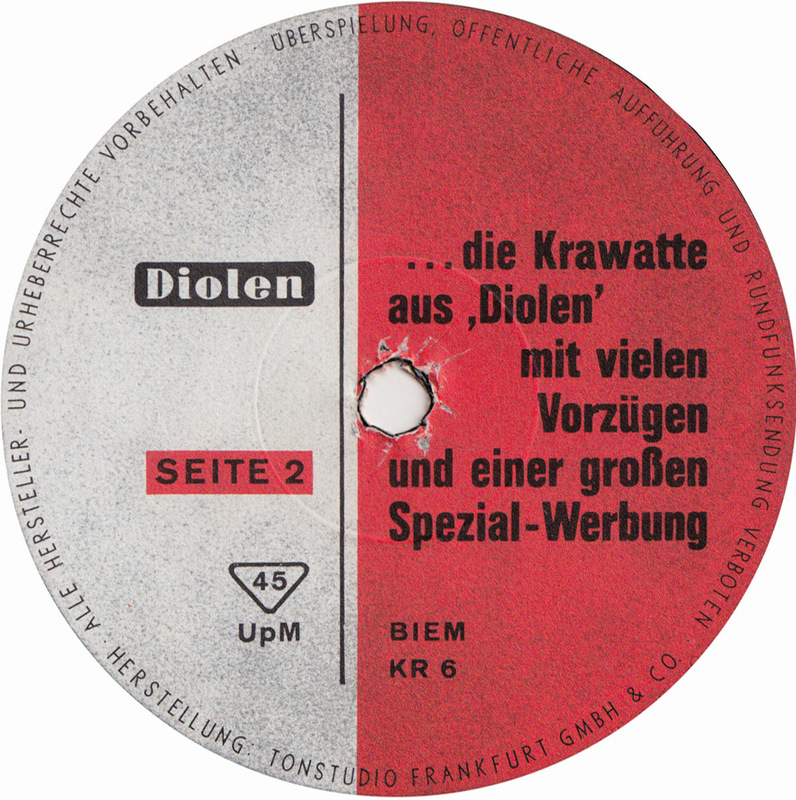 The lyrics of Der alte Scheich deal with typical period far-east exoticism. A fictious sheik of Istanbul visits Europe to find out that Western habits are much stricter than Turkish habits. A little far fetched, even back then. Habits and laws have always been much stricter in Turkey. Today, the “new sheik of Istanbul” is even talking about reinstating the death penalty. Gerd Fitz strarted his career in the early 50s in the trio Das Fitzett, together with his brother Walter and his sister-in-law Molly. 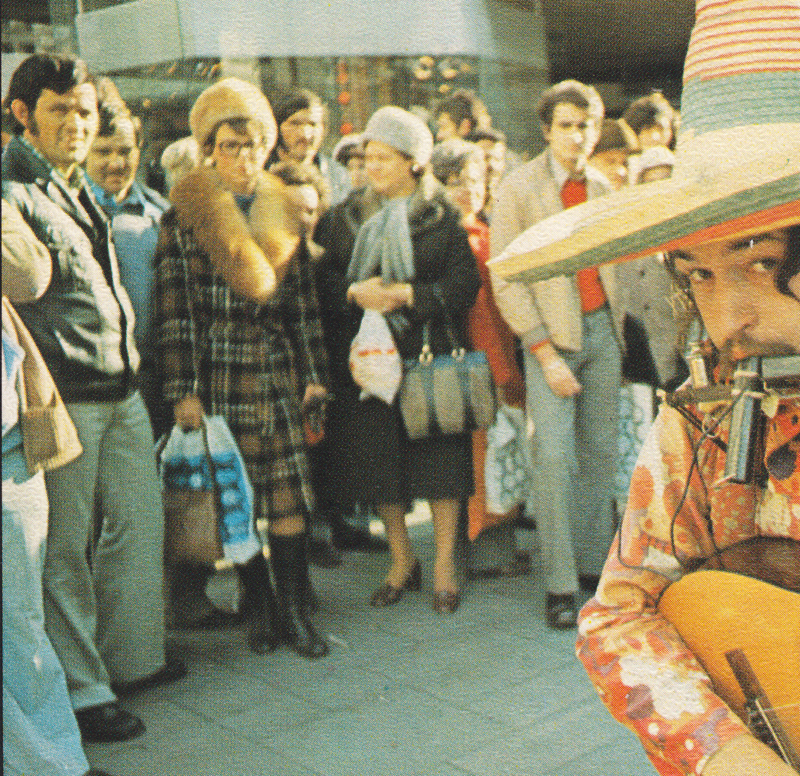 From the mid-50s to the 60s he started a solo career, mainly recording for the budget Tempo. Like many other artists, Gerd Fitz lived too early in the post-war age. When Rock´n´Roll came around he was no longer teenage-material. 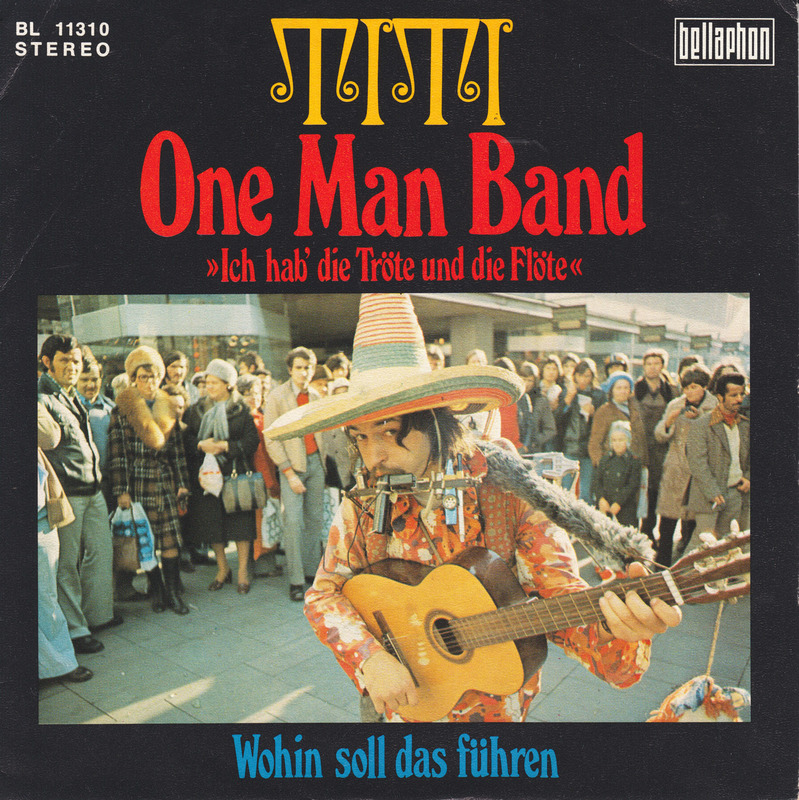 He still recorded some rock, like a cover of Peter Kraus´Mach’ Dich Schön (Treat Me Nice). In the 70s he started yet another career as an actor in supporting roles. The Fitz family has a long history in German show business. Niece Lisa Fitz is a stand-up comedian and his son Michael is also an actor. 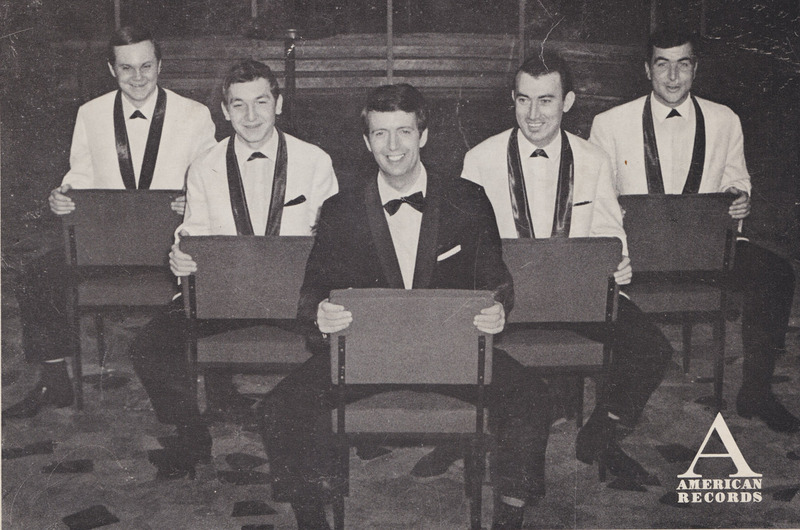 Aged 85, Gerd Fitz died in May 2015. Wie war das mit dem Scheich? Wie war das mit dem Scheich? Die Sache mit dem alten Scheich erzähl ich euch sogleich. Der alte Scheich von Istanbul, der ging auf große Fahrt. Er setzte seinen Turban auf und kämmte seinen Bart. Doch bei der ersten Zollstation, da war es schon passiert. Er zog den Hut, der Schmuck fiel raus und wurde konfisziert. So streng sind hier die Bräuche. Das hasste nun davon, ohweiawei! Da lob ich mir die Bräuche, die Bräuche der Türkei. Wie war das mit dem Scheich? Wie war das mit dem Scheich? Was mit dem Scheich noch weiter war, erzähl ich euch sogleich. Der alte Scheich von Istanbul kam in die Stadt Paris. Und sah drei schöne Mädchen geh´n , die waren zuckersüß. Er sagte: „Bald soll Hochzeit sein, ich nehm euch alle drei.“ Da schrien die Mädchen: „Unerhört! Wir geh´n zur Polizei!“ So streng sind hier die Bräuche. Das hasste nun davon, ohweiawei! Da lob ich mir die Bräuche, die Bräuche der Türkei. Wie war das mit dem Scheich? Wie war das mit dem Scheich? Was mit dem Scheich noch weiter war, erzähl ich euch sogleich. Der alte Scheich von Istanbul traf eine Maid in Bonn. Die lief vor einem Wolkenbruch im Sommerkleid davon. Er bot ihr seinen Regenschirm und wollte höflich sein. Da rief das Mädchen:“Danke schön. Hier darf man sich nichts leih´n.“ So streng sind hier die Bräuche. 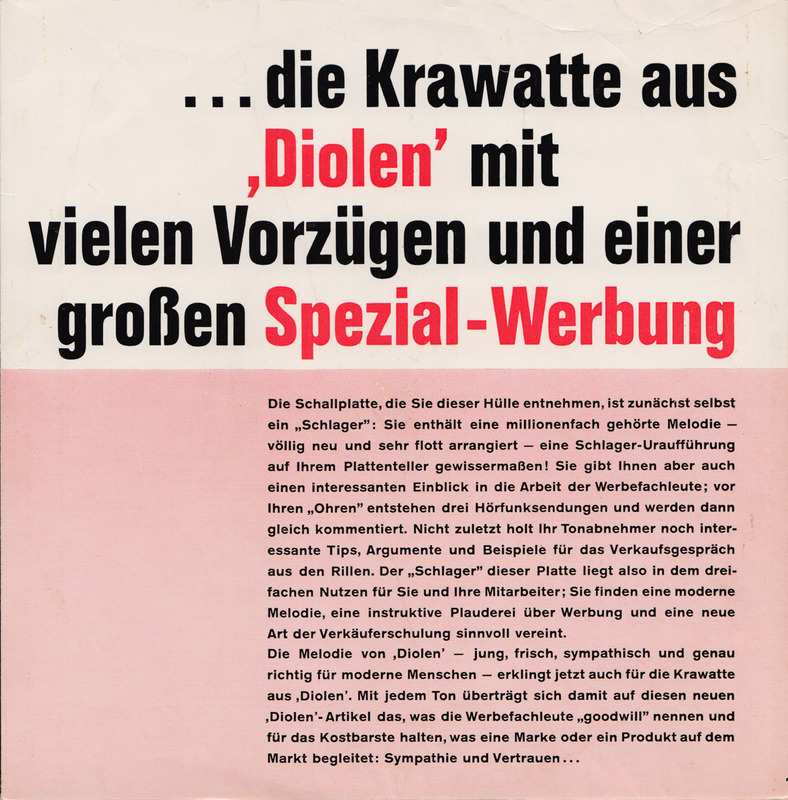 Das hasste nun davon, ohweiawei! Da lob ich mir die Bräuche, die Bräuche der Türkei. Wie war das mit dem Scheich? Wie war das mit dem Scheich? Wie war das mit dem Scheich? Er flog auf seinem Teppich gleich, zurück ins Türkenreich. 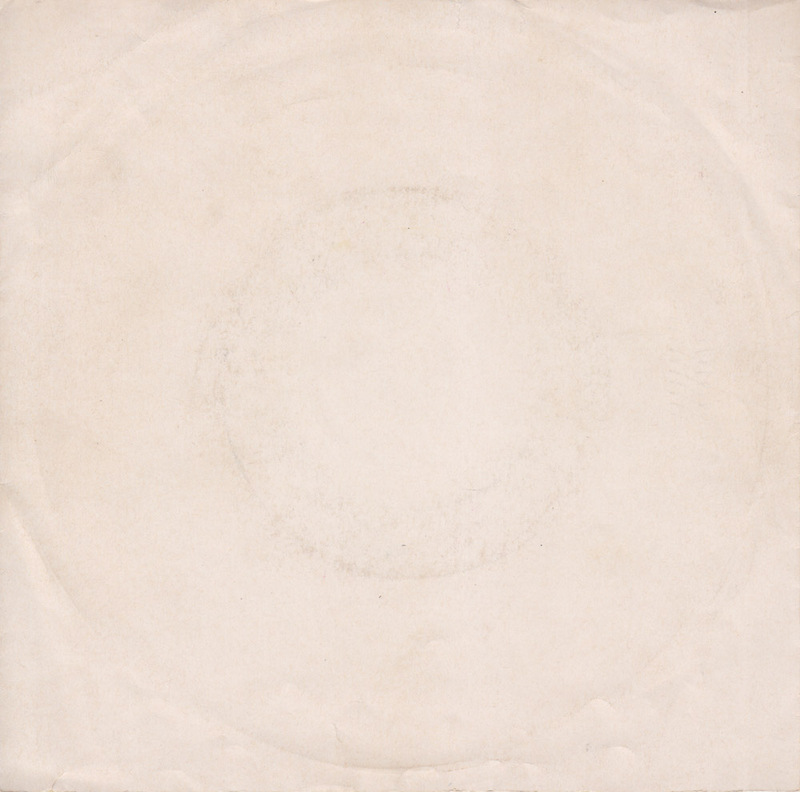 I usually only post records by artists that are either anonymous or pseudonymous or dead or no longer active. 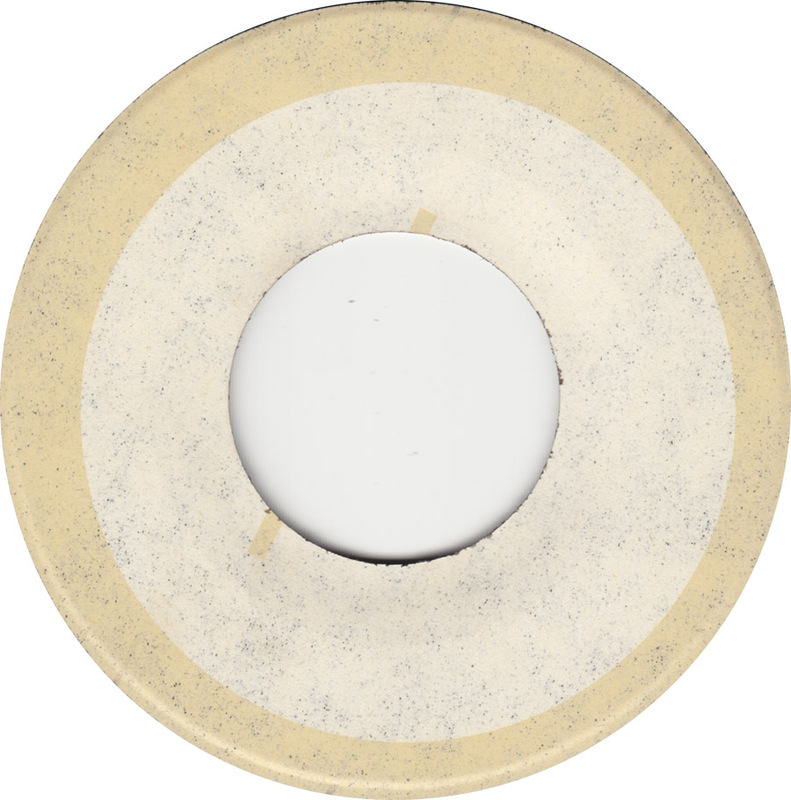 I will keep true to that guideline, but I´ll make an exception with this privately pressed 45 just because I like it. Also, the songs have never been re-released, so basically nobody heard them since 1981. 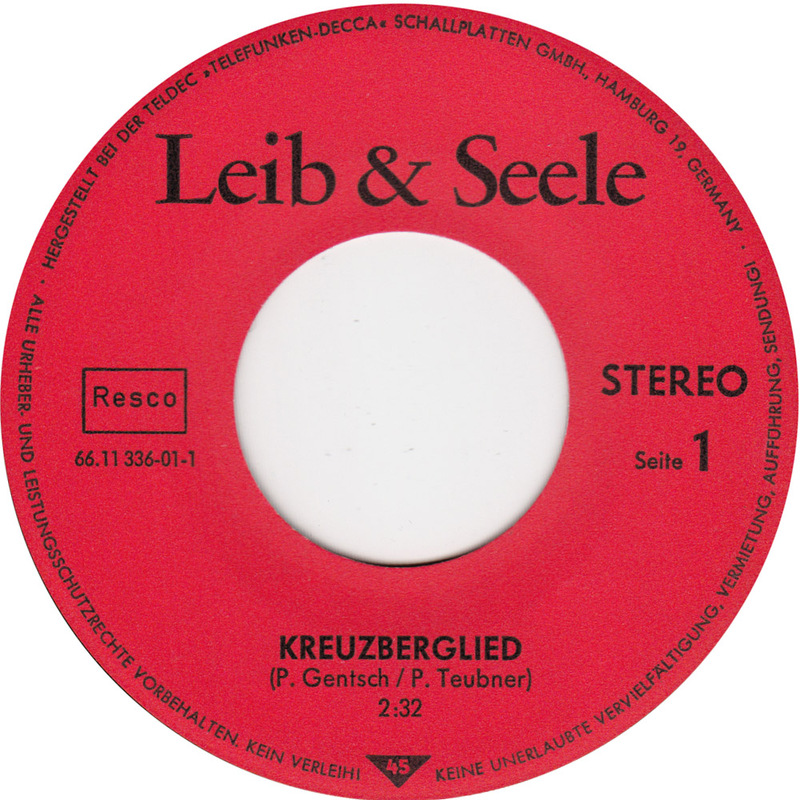 After I bought the record last week at a local Kreuzberg flea market, I checked the Internet and immediately the name of Peter Gentsch, guitarist and vocalist with Leib & Seele came up. Now in his late 60s, Peter is still active and living in Kreuzberg. 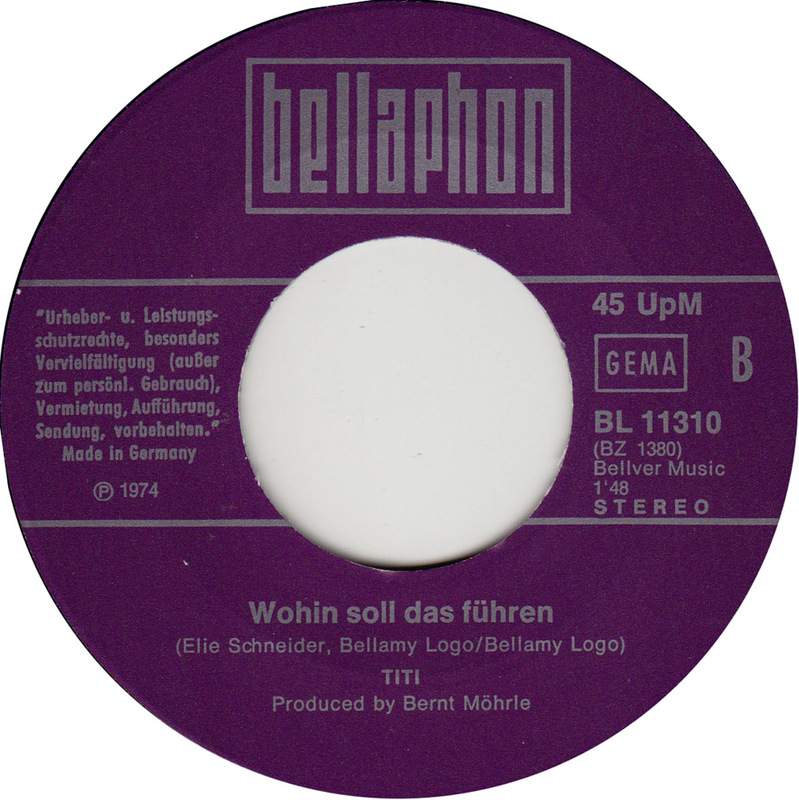 The Saturns, the Dreamers, the Kids, Ballads, Reaction, Mercurys – his website lists a whole bunch of Berlin groups he´s played in since 1962! 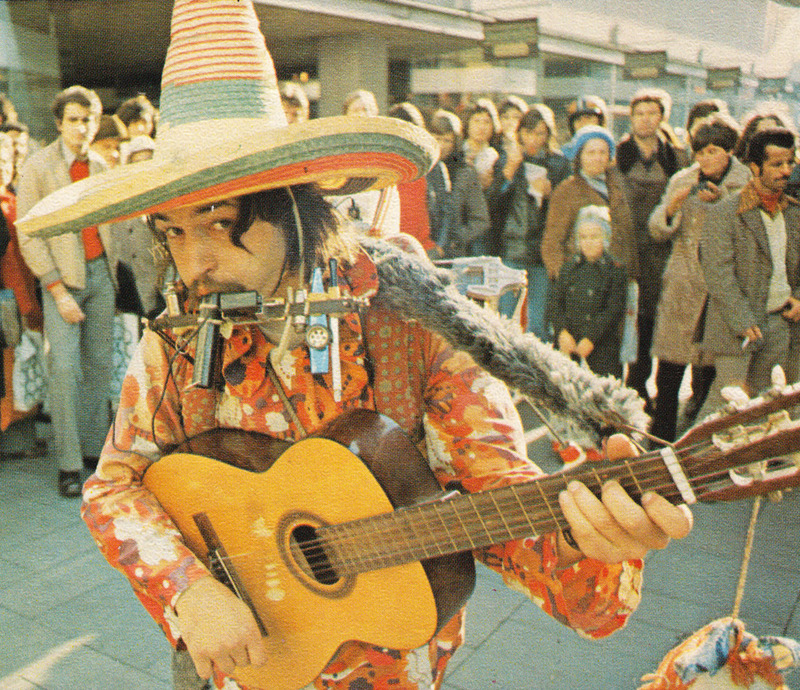 The guy is a walking monument of Berlin rock history. 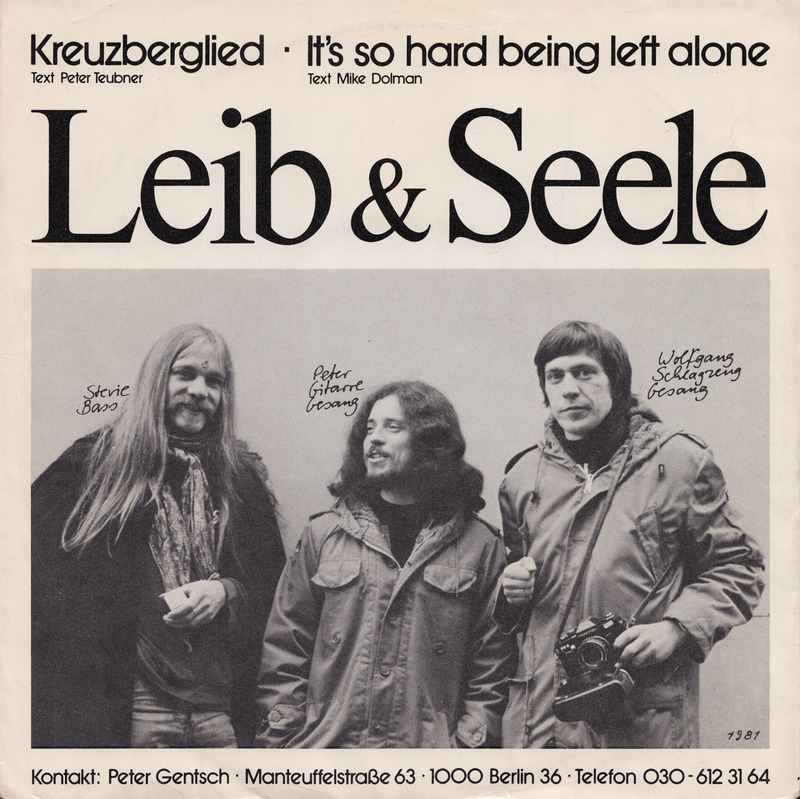 So, here´s some late Krautrock from Leib & Seele – body and soul. Kreuzberglied deals with living close to the Berlin Wall, deep in the heart of Kreuzberg. 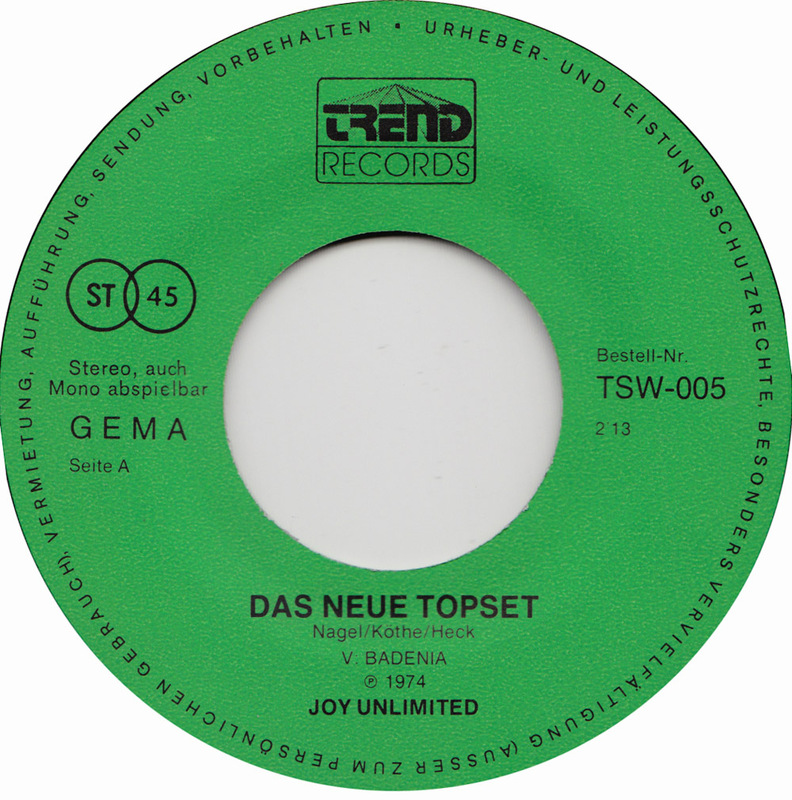 It´s an authentic early 80s Kreuzberg anthem, even down to the Berlin accent. I wore one of those german Bundeswehr parkas in the late seventies too. A krautrocker´s chocolate bar? 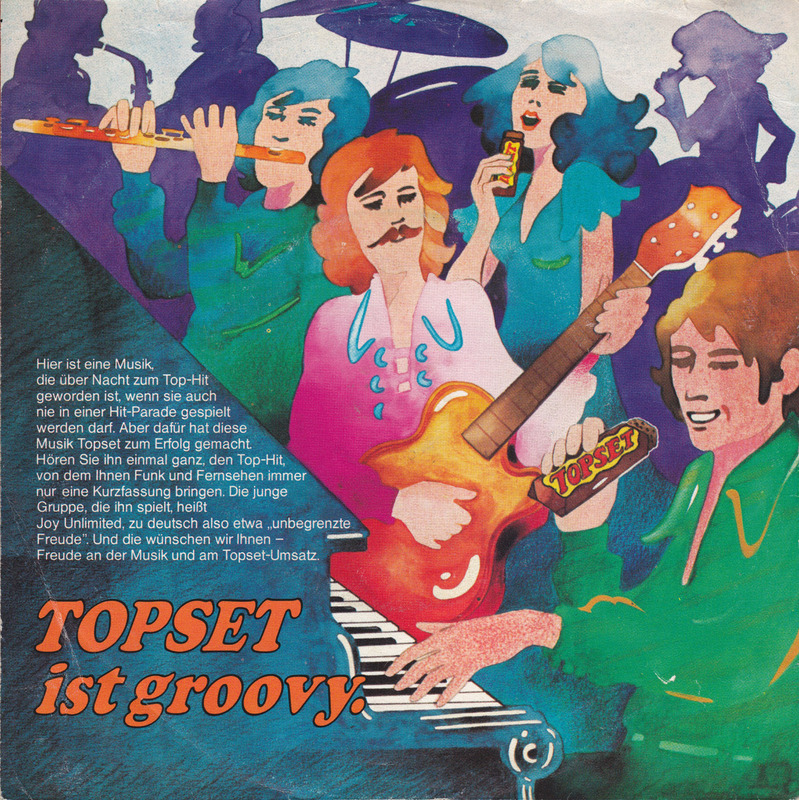 The Topset chocolate bar seems to have vanished from the market quickly, at least I can not remember it and I was 8 years old in 1974, a perfect customer for chocolate bars. I guess I was more into Kinderschokolade. Here´s the Mannheim krautrockers Joy Unlimited, minus the vocalist they named themselves after – Joy Fleming, the inventor of German Soul singing. 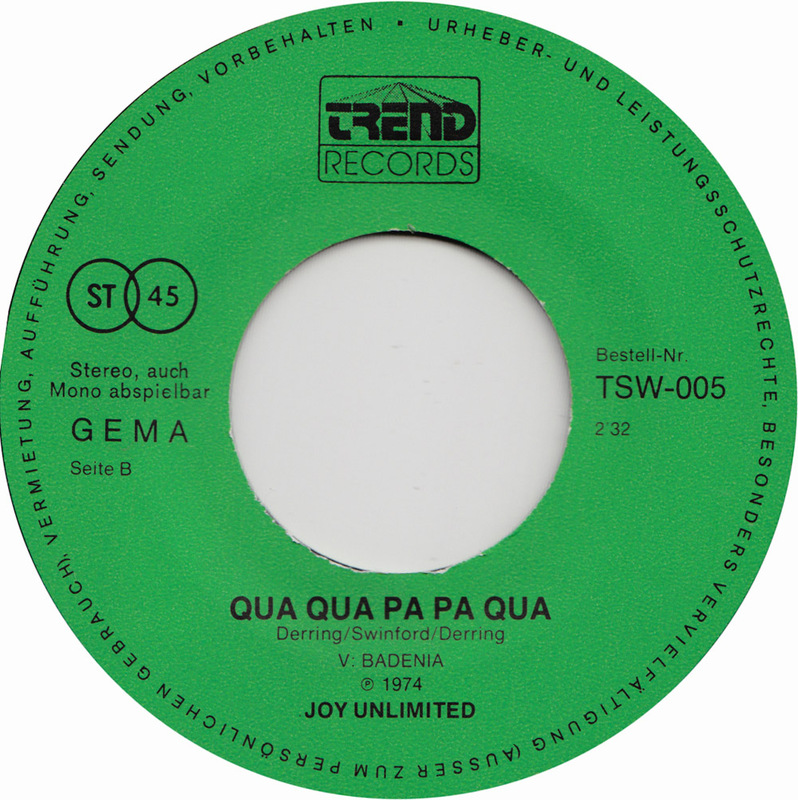 I posted another promotional 45 by Joy Unlimited in 2008. While that still is right, don´t get the wrong idea. These promotional flexis are still mostly worthless, because there is no market for them. Still, I bet some idiot will offer a copy on ebay soon – for 20 Euros. 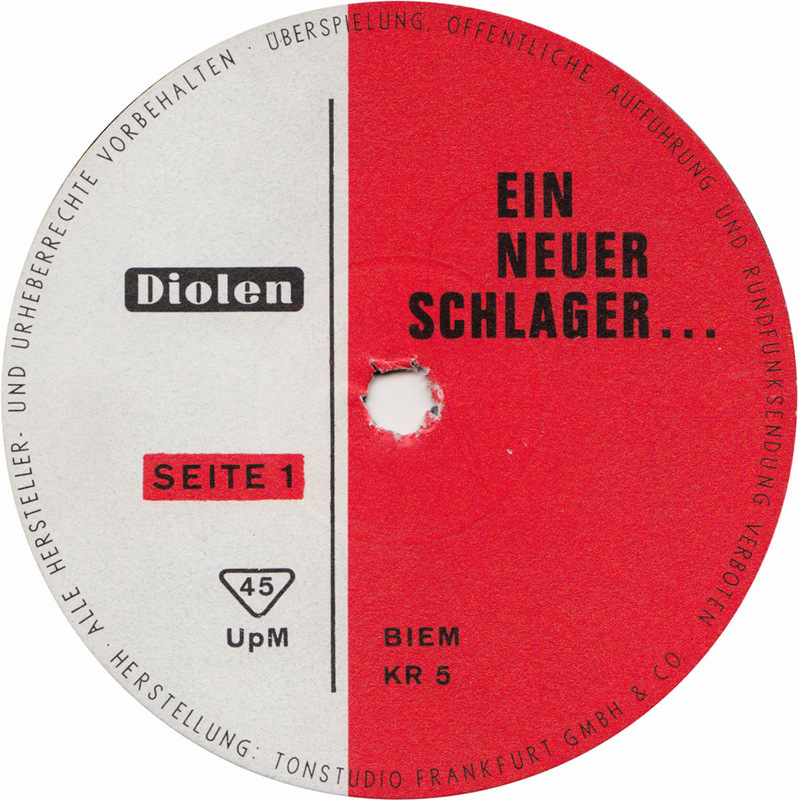 Of course nobody ever buys these flexi discs for 20 Euros. There´s only a handful collectors of flexis. I´m one of them and I never pay more than 1 Euro. 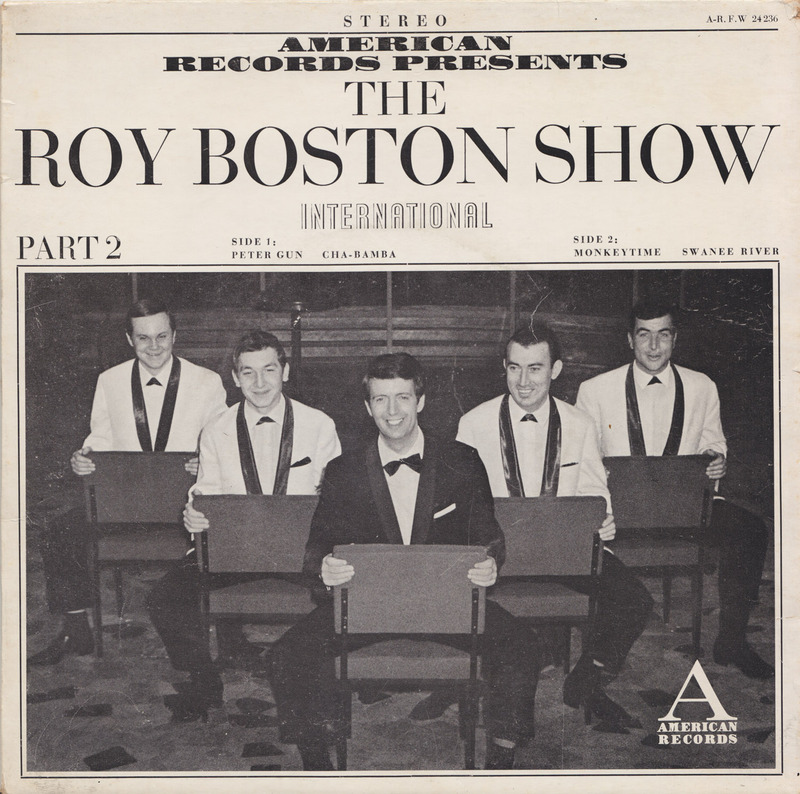 that records like this one belong in the free-box…. PARTY! 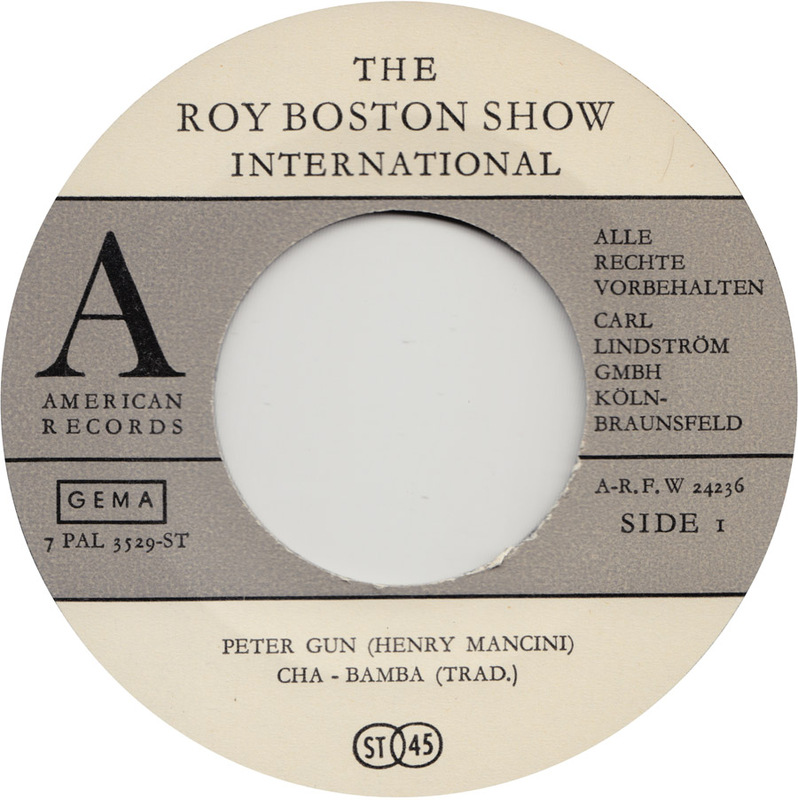 Now, that´s a cool name for a label. 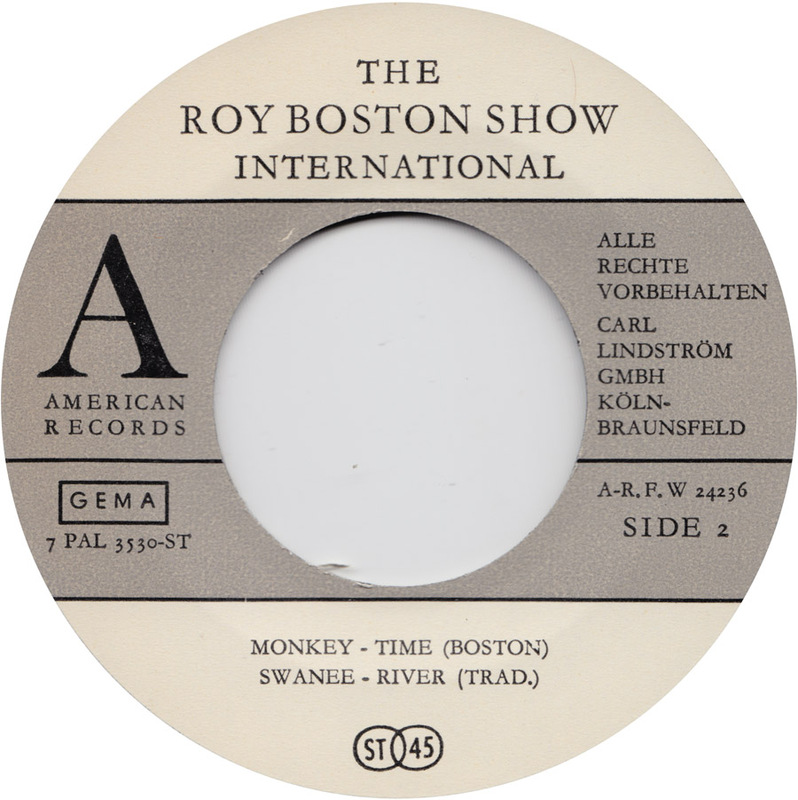 With a name like that you´d expect full colour picture sleeves, but unfortunately the ones I´ve seen have plain type-only designs. 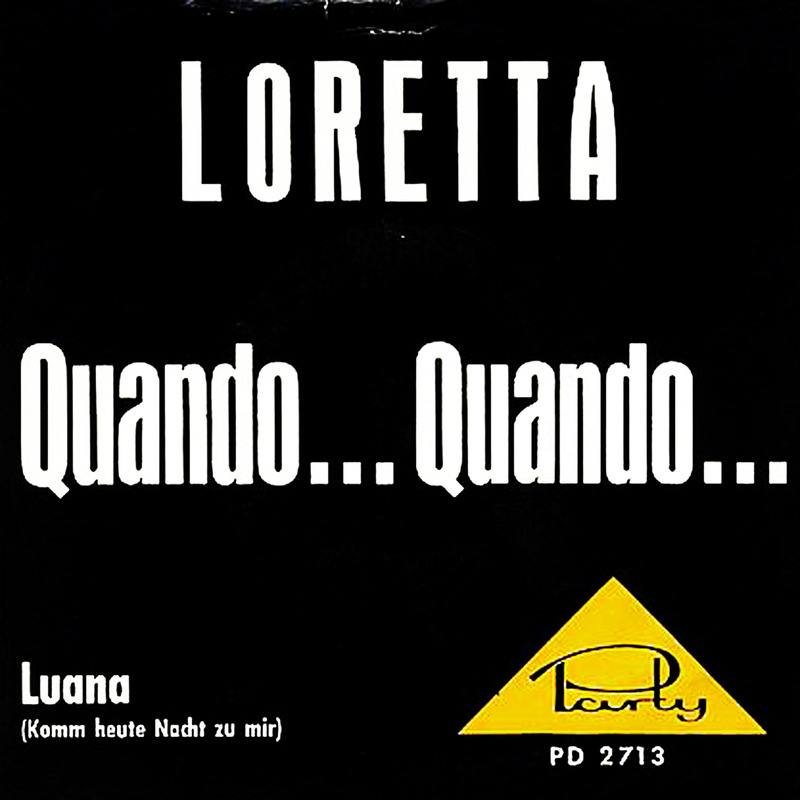 All Party releases seem to feature Loretta, so likely the label was a vehicle for her career. 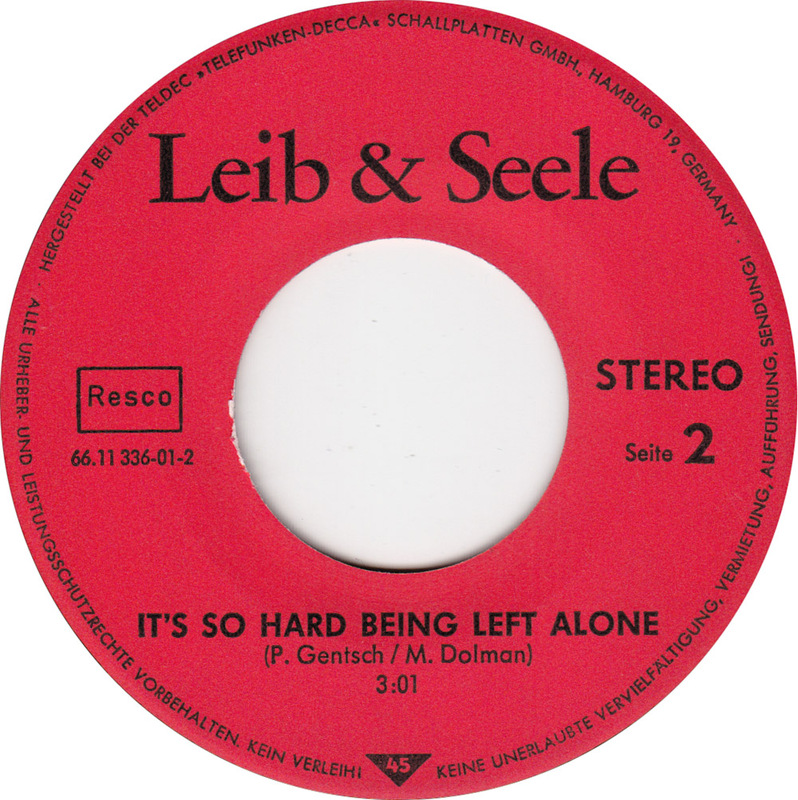 Local budget-stars Bob Gerry (Werner Hass), the Moonlights and the Columbinos also appear on Party releases. 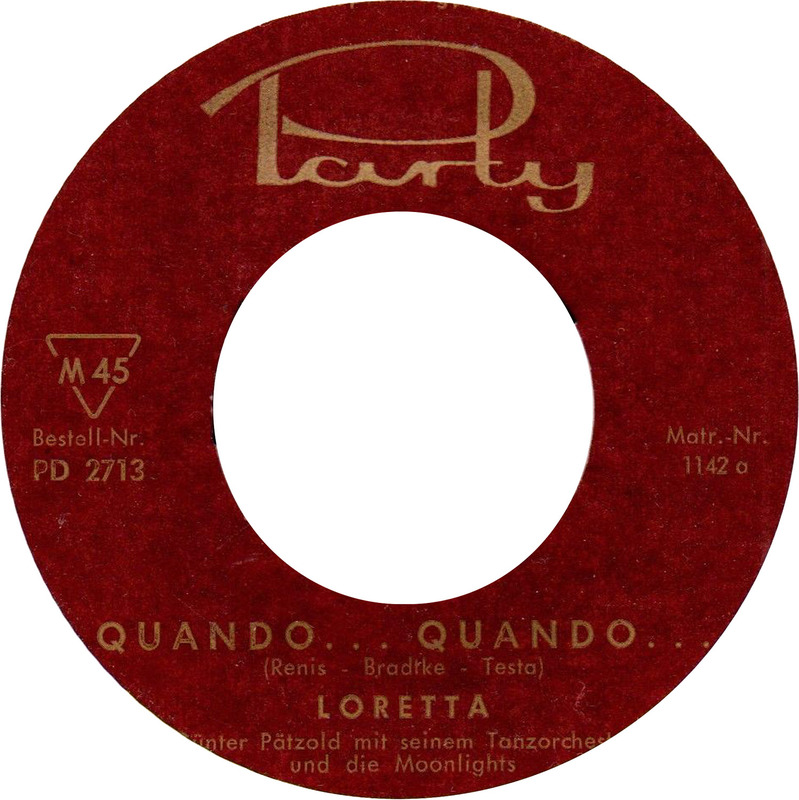 Günter Pätzold, who backs Loretta with his orchestra, began recording for Odeon in the late 1940s. 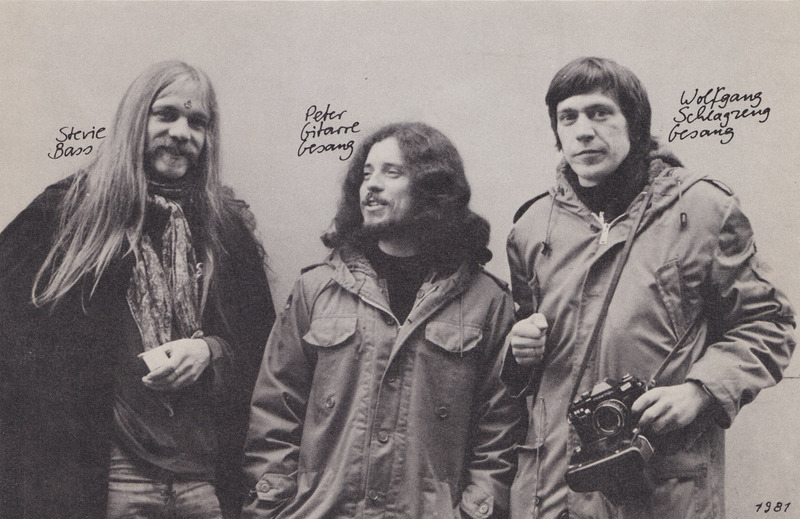 He co-wrote Küß Mich Heiß (as Petzold) for the Heinz-Becker Barquintett for the Amiga label, incidentally, a group Fritz Wölffer played guitar in. 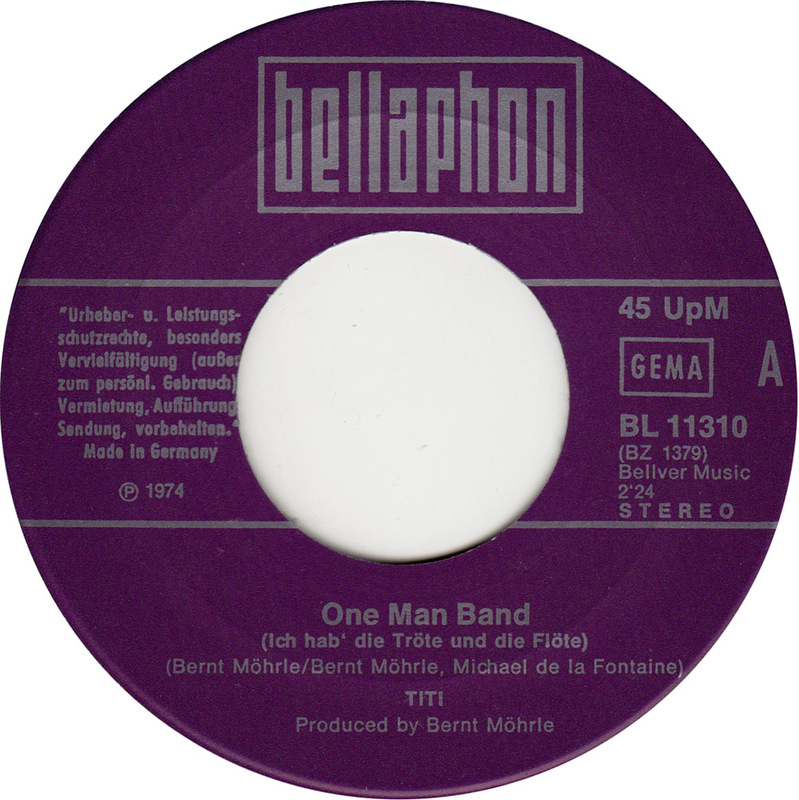 Pätzold also recorded for the local cheapo flexi disc-label Okay. Du allein was written by Pätzold, Loretta and a certain van Holsten, while Frage nicht nach meinen Traeumen was written for Loretta by Bruno Balz and Heino Gaze, two very successful German songwriters. 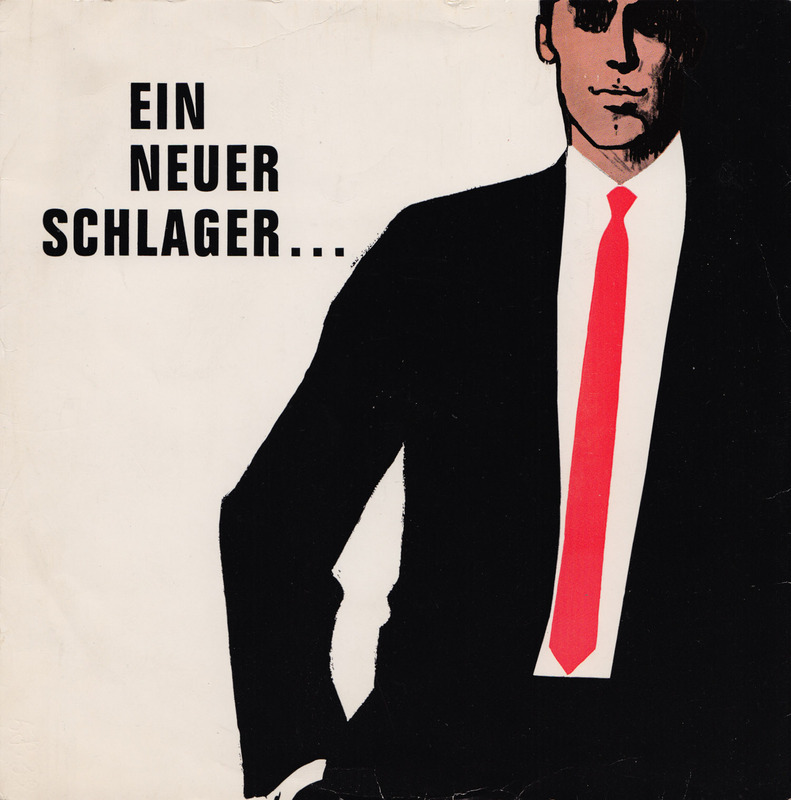 Heino Gaze (1908-1967) wrote the music to around 600 German hit songs, like La-Le-Lu, Kalkutta liegt am Ganges, and Shake Hands, a hit for Drafi Deutscher. 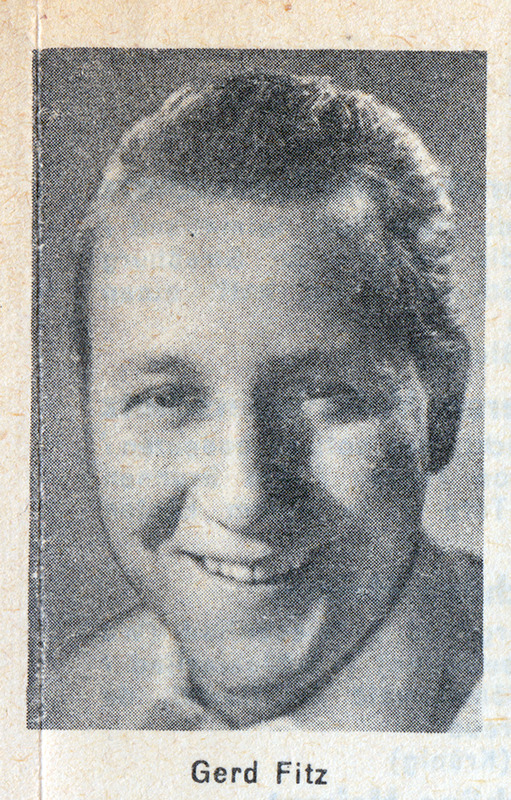 Bruno Balz (1902-1988) wrote the lyrics to more than a thousand hit songs, a lot of them together with Michael Jary. 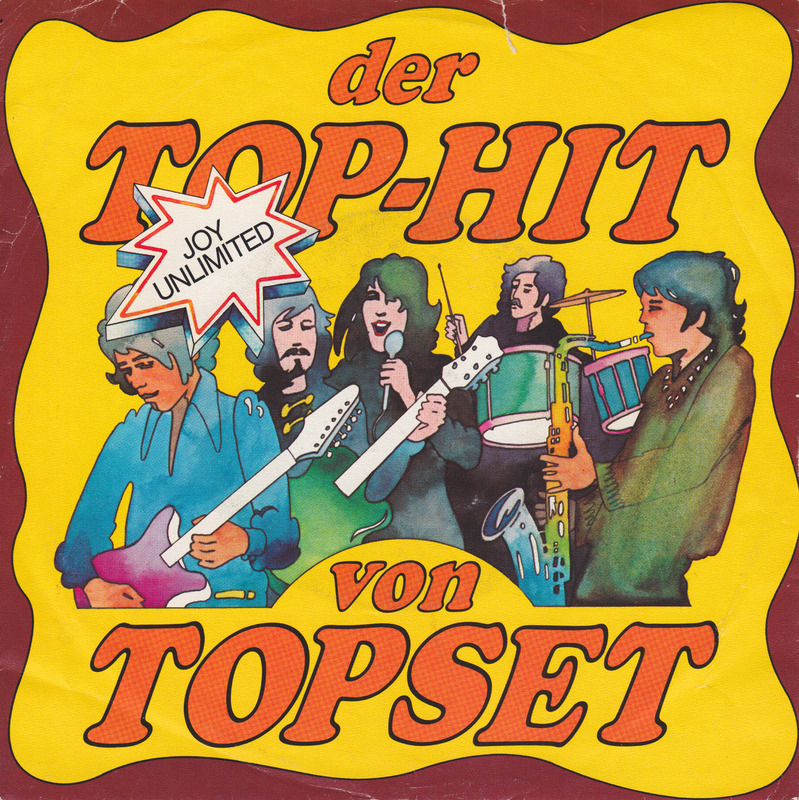 He especially wrote for Zarah Leander, but carried on until the mid-60s with such hits as Mäcki Boogie, Berlin bleibt doch Berlin! and Mama for child star Heintje. Bruno Balz was a very interesting character and I recommend to read his full story on Wikipedia. 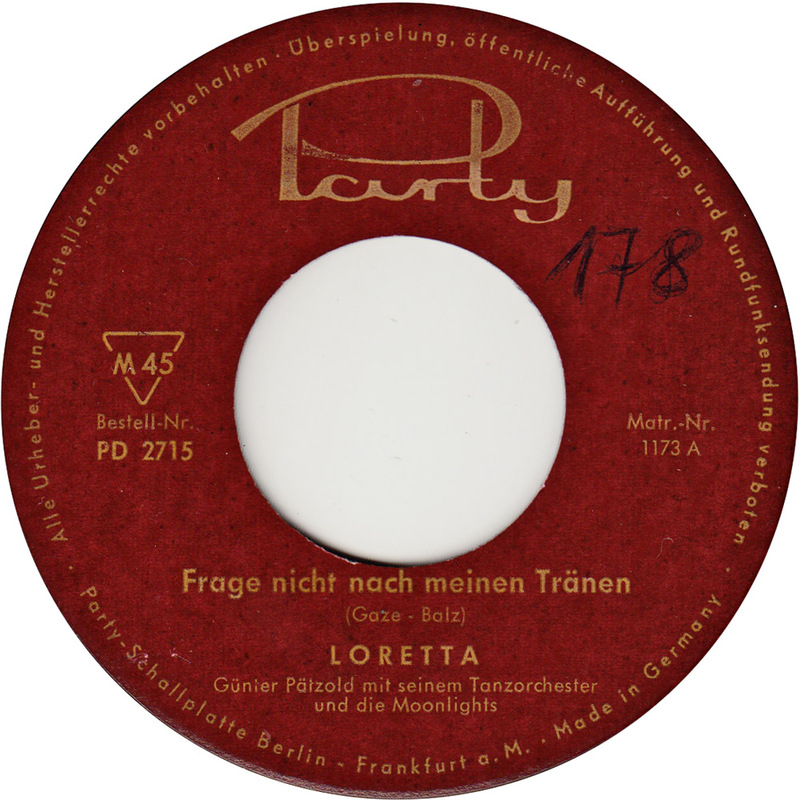 Both songs have a pretty big production for a small label, that contrast with Loretta´s unique voice. Now, who is this mysterious Loretta?